Read reviews from the Crypto Critics on the best cloud mining platforms available online. When you cloud mine with Hashflare.io, you essentially purchase a stock in part of their mining facility, and gradually over time reap Bitcoin into your account. 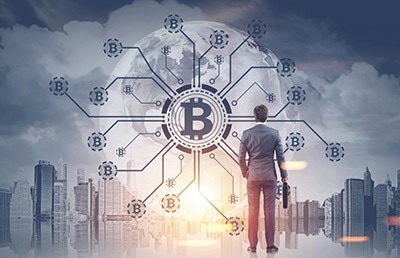 Some of the features they boast include no fees (transparent transactions), instant withdrawal from the account, and detailed real time statistics. This cryptomining service has a valuable referral program where users can reap benefits for creating a larger mining system. Cryptomining.farm boasts a good investment bonus, no maintenance fee, and a 15% affiliate bonus. Genesis-mining.com boasts a userbase of over a million people using their platform to mine Bitcoins. Their machines are set up and running in a facility that your investments go towards powering, this will result in a small gain of profits that Genesis-mining.com will feed back through their client platform. ViaBTC.com is offering everyone an easy way to own bitcoins by participating in its cloud mining operations. The company promises good returns which are likely to survive the test of times as a result of its very large bitcoin mining pool which is currently the fifth largest in the world. As one of the most profitable pools for miners, Bitcoin.com Pool offers a 120% block reward and charge 0% fees on PPS and PPLNS. Pool.Bitcoin.com can get started mining today, even with options to automatically mine the currently most popular coin. With a 100% uptime guarantee, Hashing24.com is a modern and cost-effective provider for Bitcoin Mining. With massive data centers in Iceland and Georgia, they are able to mine 24/7 and at full capacity. Bitclubnetwork.com is a consistent provider for daily profits from Bitcoin or Altcoin mining. Selling hashpower and reasonably discounted rates, Bitclubnetwork is able to stand out as one of the best mining distributors. Get real-time buy & sell signals on our Signals Dashboard!